High quality and high style, this Safavieh Courtyard area rug is extremely useful in any home. Add this indoor/outdoor rug to your home for a comfy, yet stylish design option since it is made from plush synthetic material. This rug is comfy, machine-made, and stylish. Modern style meets quality in this border patterned red rug. Courtyard May Red / Natural 6 ft. 7 inch x 6 ft. 7 inch Indoor/Outdoor Square Area Rug High quality and high style, this Safavieh Courtyard area rug is extremely useful in any home. Add this indoor/outdoor rug to your home for a comfy, yet stylish design option since it is made from plush synthetic material. This rug is comfy, machine-made, and stylish. Modern style meets quality in this border patterned red rug. 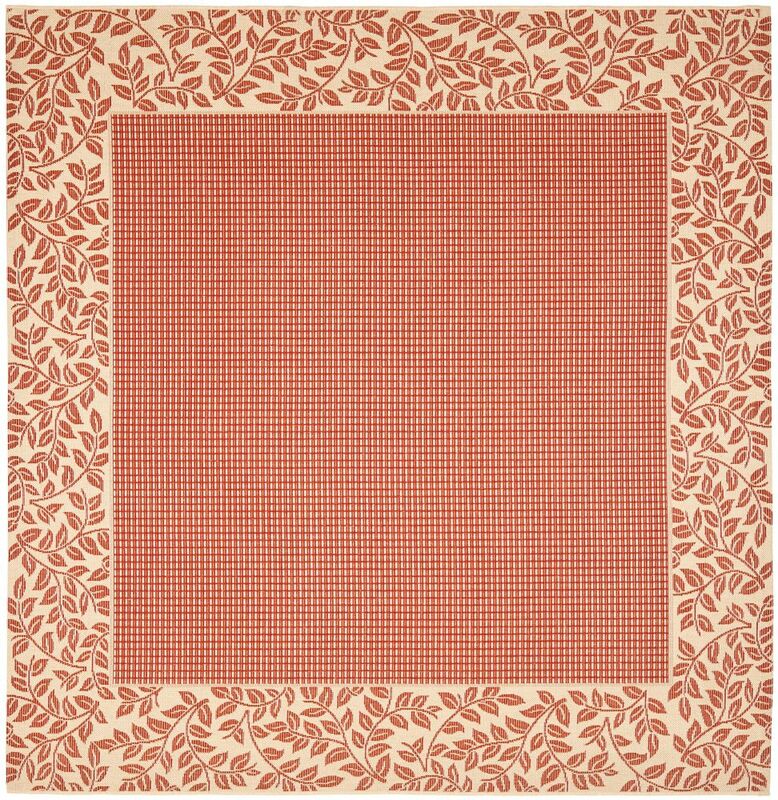 Courtyard May Red / Natural 6 ft. 7 inch x 6 ft. 7 inch Indoor/Outdoor Square Area Rug is rated 4.0 out of 5 by 1. Rated 4 out of 5 by Ella from Berry attractive outdoor rug. Came in more folded than rolled so it will take some time to flatte... Berry attractive outdoor rug. Came in more folded than rolled so it will take some time to flatten out. Beautiful design, looks nice on my deck.